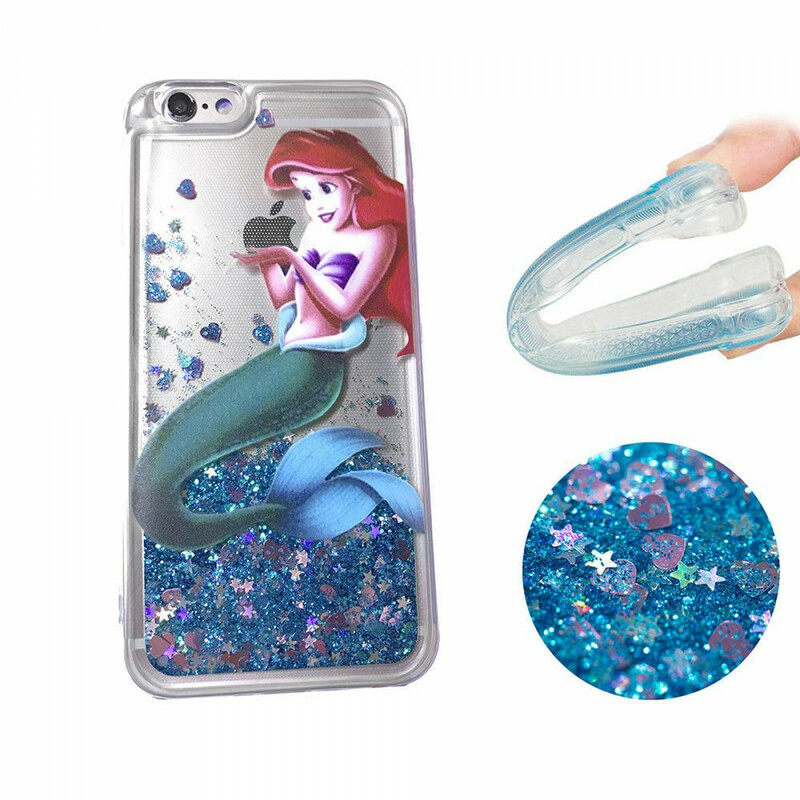 Flowing Liquid Glitter Stars Case,Compatible with Apple iPhone 6 (4.7inch) or iPhone 6S (4.7inch). Liquid can move freely.Shaking hands, quicksand flowing, the stars flashing,add much fun to you. Can help mobile phone cool! 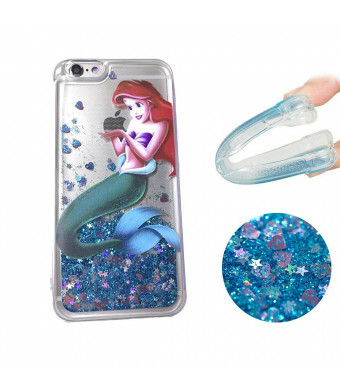 Little Mermaid Arie holding the apple logo in your iPhone back. Put it in: Press from left to right, from bottom to top, squeeze it in. Take it out: From the back, use your right thumb to squeeze forward in the position of the phone camera, while other fingers hold the soft edge of the phone case. It is a Luxury Bling Waterfall Sparkle Hard Protective Cover for the iPhone. Those perfectly to seem like she is holding the apple. 1.Snow White positioned holding the apple. 2.Little Mermaid Ariel holding the apple. 3.Frozen Elsa holding the apple. if you want to keep your iphone new and protected, choose it as a gift for yourself, you can also send it to others as a birthday present, don't miss it, because every iphone owner needs the protective and nice case.